If you are going to go camping out in the back country, you will need a backpack. 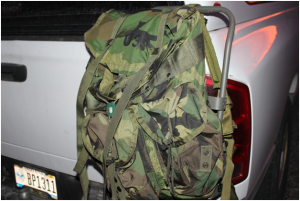 While you may have thought that all backpacks were the same, they are not (check this tactical backpack reviews). Below are the pros and cons of each type of backpack, which will help you pick the best one for your next adventure. First, what does the internal verses external framed backpack refer to? Well, the answer is simple. The terms just describe where the frame of the backpack is located. Today, most backpacks sold are those that have their frame on the outside. The reason for this is the fact that they fit closer to the body. They are normally more narrow but longer. An internal framed backpack also has fewer outside pockets, which reduce the number of things you can reach quickly without having to take your pack off. Since the frame is located on the inside of the backpack, they provide more freedom in movement compared to the external kind. The con to the internal frame backpack is the fact that it fits so close to the body. It is easy to overheat while carrying this pack, which will require frequent stops to remove the pack and allow ones back to dry out. The external framed backpack is as the name describes. The frame can be seen from the outside of the pack. Since the frame is on the outside, it actually holds the pack off the back so that air moves around your back, which reduces sweat. Since the frame is made of aluminum, the weight of the pack is lighter. The weight of what you are carrying does not rest of your shoulders as in the internal frame but on your hips. Finally, you have more external storage with this type of backpack since there are more pockets on the outside of the pack. While the latter is an advantage if you need to reach certain things quick, it can also cause a problem. These little pockets can easily get snagged on stuff along the trail. The frame displayed on the outside can also make the hiker unbalanced, especially if the trail is uneven. Whether you prefer an internal or an external backpack, the key is to go and try each type out first. Also, consider what you will be doing while you are carrying your pack. Considering the pros and cons of each will help you choose the best pack for your next camping trip.